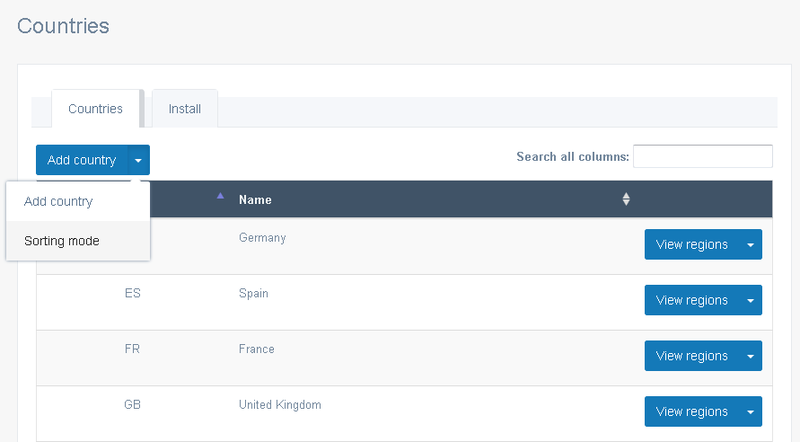 Let your site members select their location by adding locations to your site manually or by using a ready database to install countries. Click ‘Add country’ to create a new country in case it is missed in the default list of countries. Countries are sorted by names in alphabetical order here. 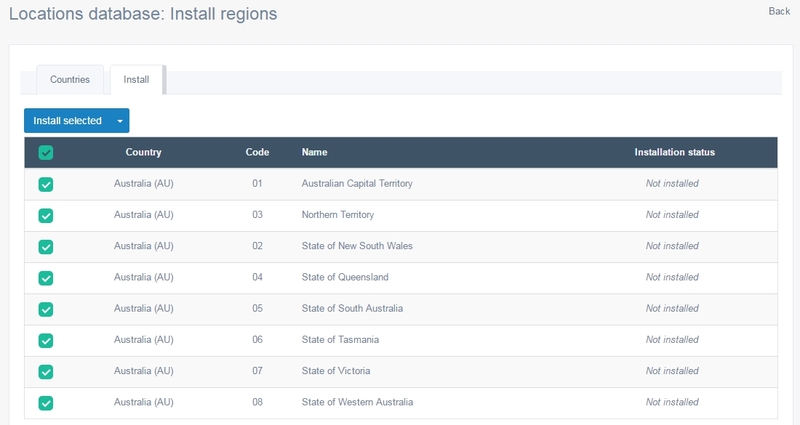 Go to ‘Install’ tab to get to the list of regions. You have a chance to only select the regions that you need, it can be of great use if you are targeting just one or two locations. To edit a country name and translate it into other site languages, click ‘Edit country’ next to its name in the list. The same rule applies to regions and cities. 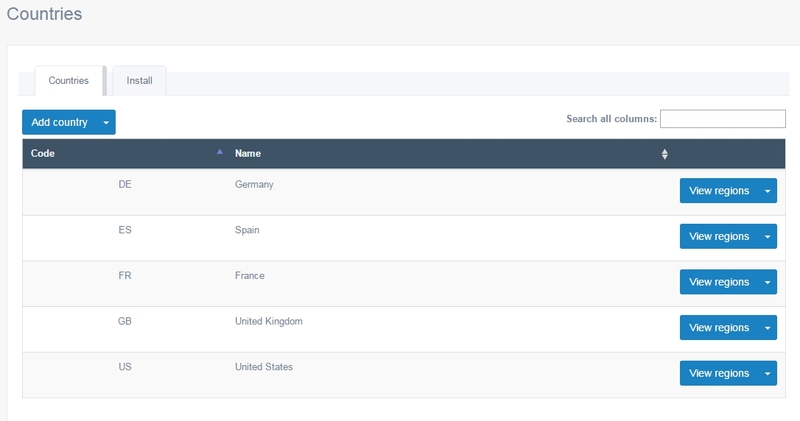 The Sorting mode will let you decide which of the countries to show on top of the location lists. Click ‘Sorting mode’, then use arrows to add or remove countries from the list. Click ‘View mode’ to get back to the regular view.